← Do I Do because I Know, or Do I Know because I Do? I’m standing at my kitchen window, looking out at the backyard and my garden boxes covered in several inches of snow. I’m also eating radishes. 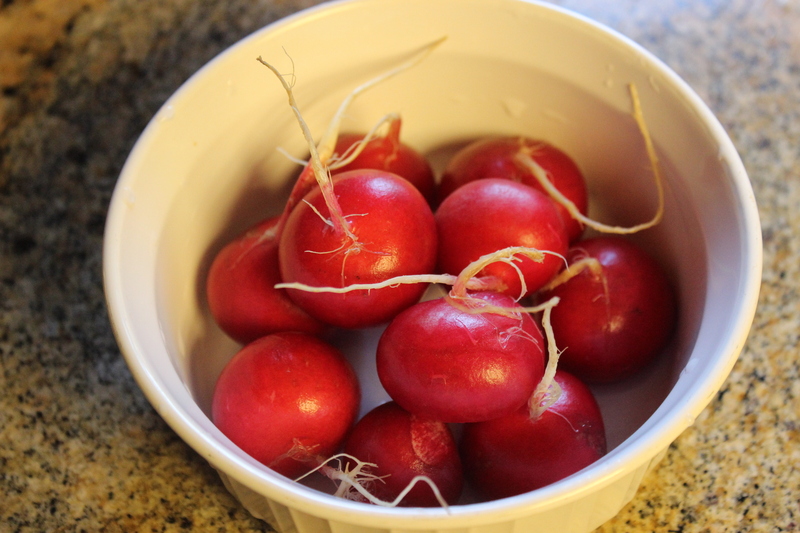 I went to the grocery store this morning and saw the radishes, here in Utah, in the cold of January, when our ground is frozen hard as a rock. I had to buy them. They obviously traveled far to be here, to be enjoyed by a California-grown Utah mom who was missing summer. Radishes make me smile and remember vegetable gardens in the summer and drinking water from a garden hose and sheets drying on the clotheslines. They also make me remember my Great Aunt Elise, who came to visit every few years. She was legally blind. She was one of my oldest relatives, the sister of a grandmother I never knew. When she came to visit, she shared my bedroom. At night she sat up in bed and yawned. Lots of yawns. She said that’s what made her sleepy. When she visited, I often went with her on walks out in avenues between the orchards. She had me describe everything I saw. She held my hand. Hers was old and wrinkly. Aunt Elsie smiled all the time and sometimes put her face very close to mine to try to see my eyes. Aunt Elsie is the one who taught me that you should always eat the tails on radishes. “That’s where all the vitamins are,” she’d say. And so I eat the tails. She’s been gone a long time now, but I think of her every time I eat a radish tail. I thought of her on this cold winter day as I looked out at the snow.